David Cheifetz is our April Artist of the Month! Join The Artist’s Magazine in welcoming our April artist of the month, David Cheifetz! Cheifetz was a finalist in The Artist’s Magazine’s 30th Annual Art Competition. 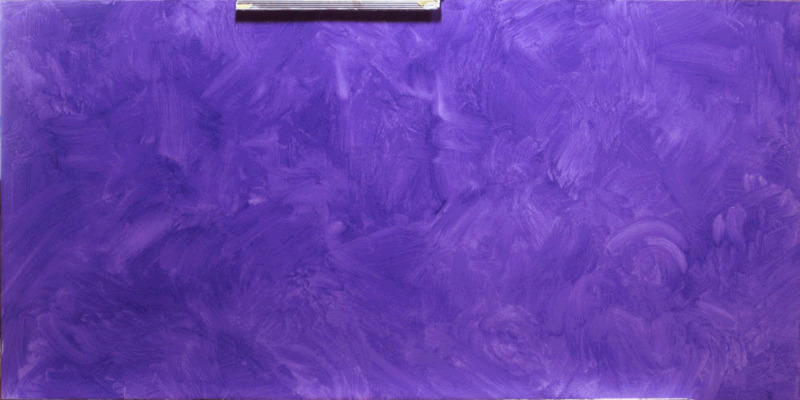 His painting, The Chase (oil, 12×24) is below. Keep scrolling to see what he has to say! P.S. To watch an animation of his painting process for “The Chase,” click here! 1. How and when did you get started creating art? Describe any art education. In 2007 I started going to The Schuler School of Fine Arts in Baltimore and over the course of 3 years gradually transitioned from my former career in architecture to just painting. I dedicated an episode of my free podcast “Impasto Logs” to describing my journey during that time. 2. Do you create art for a living, or do you have another occupation? Just painting supplemented with a little teaching now and then. 3. What media and genres do you work in? Oils. Still life is my favorite but I also enjoy cityscape and figure. 4. What was your inspiration for this painting? I wanted to push focus in an extreme way. I used every tool at my disposal to force the eye into one focal area. 5. Describe your process: Do you work from life, photographs or drawings? Do you have a typical color palette? For still life I work from life, for figure a mix of life and photo, and for cityscape just photos. I use my city photos as a starting point to build something that interests me. Palette is usually: ivory black, phthalo blue, ultramarine blue, alizarin crimson, cad red, cad orange, burnt umber, yellow ochre, cad yellow, cad lemon, white. 6. How long do you spend on a typical painting? I spend anywhere from a day to a couple weeks per painting, depending on size and subject. I can’t remember but this one probably took a week. 7. Were there any surprises or difficulties along the way as you painted this work? What was your favorite part? The most difficult part was getting proportions correct on the vehicles. We all have an eye for vehicles that we see day after day, so it is really easy to tell when something looks wrong. My favorite part was the warm glow on the left side of the streetcar. 8. What are your future plans/goals? To continue to paint to the best of my ability and support my family in the process. To experiment and try new things. 9. What inspires you to create art? The act of creation is fulfilling to me. What inspires me the most is the knowledge that I need to do it or else I won’t be creatively fulfilled. 10. Any funny or unusual anecdotes relating to your art in general? My goal when I started at Schuler was to illustrate comic books and graphic novels. I just saw oil painting as a required portion of the curriculum, and I always thought of still life as silly and static and boring. I didn’t even know how to hold a paintbrush before Schuler. I quickly fell in love with painting still life and I switched my focus. 11. Would you like to publicly thank any friends, family or colleagues for your success? 12. What made you decide to enter our Annual Art Competition this year? What did you see as the benefits and challenges of entering? Online competitions are awesome. Easy and no shipping drama. I share my painting process and other stuff in my weekly email newsletter and my free podcast. Oh, and there are two books that have helped me the most with my art and they don’t even have pictures in them: “The War of Art” by Steven Pressfield and “The Power of Now” by Ekhart Tolle.